Dialog stands allow for the communicators to be used in different environments in the home. The range of stands includes 3 categories: bed, wheelchair and table stands. Our stands are made from extremely shockproof material and are designed to adapt to the requirements of the environments in which they are used. The bed stands allow clients with no mobility to use our communicators in comfort. Thanks to the arm with adjustable head, the position of the communicator in relation to the client’s face can be adjusted. 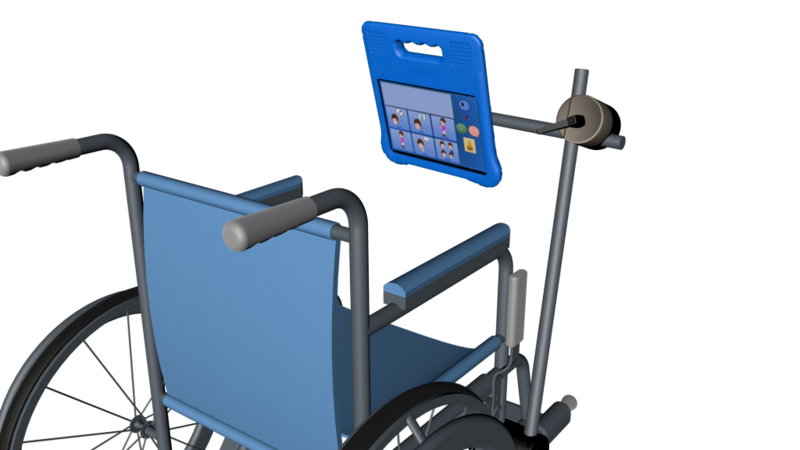 The wheelchair stands allow clients with wheelchair mobility to use our communicators. These stands are custom-made for each client since each wheelchair will also have features specific to its user. The table stands allow for communicators to be used on a flat surface. These kinds of stands were designed to make every kind of communicator accessible, meaning they can be used as an AIO. Our stands (bed, wheelchair and table) are convenient and easy to transport. They were designed to be compatible with all our communicators. An instructions manual is provided to help with assembly. 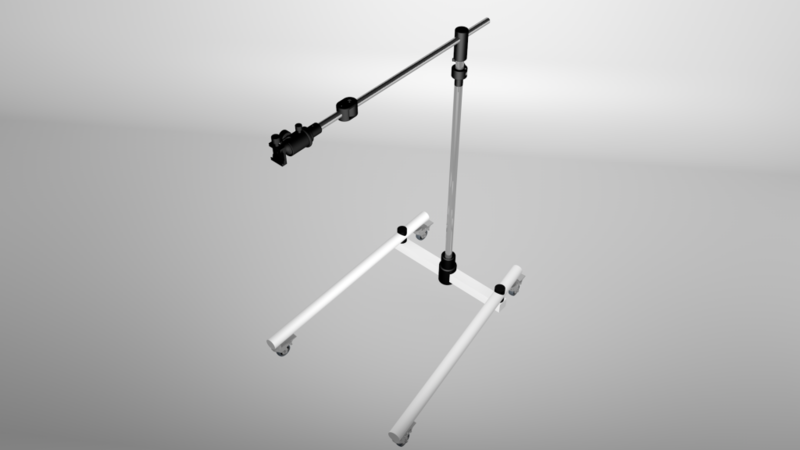 Each of our devices come with a standard VESA attachment that facilitates positioning on the different types of stand. The VESA attachment allows it to be positioned on a wheelchair, bed or table stand. The bed stands make communicators comfortable to use for individuals who are bed-ridden. Thanks to the extendible arm with jointed head, it can be positioned accordingly. 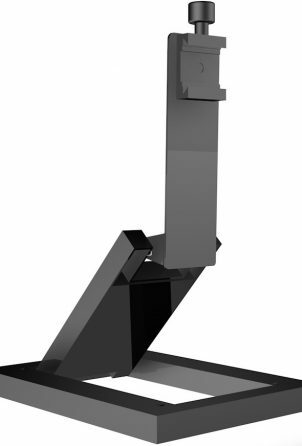 The stand is also equipped with a gas piston that facilitates the height extendibility of the arm. Our bed stands have 4 wheels that guarantee optimal stability. The table stands allow for communicators to be used on a flat surface. They make communicator use accessible to individuals with mobility difficulties. Wheelchair stands allows for any kind of communicator to be used on the client’s wheelchair. They are designed in such a way that they can be easily adjusted using the simple levers according to how the user wants to position the communicator, thanks to the repositionable joints.